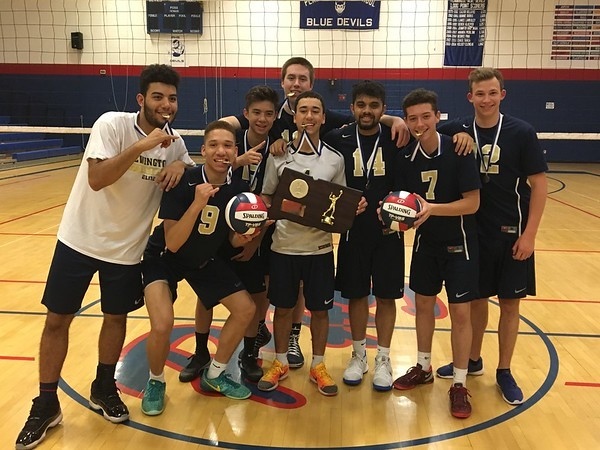 Only two of the schools in the area have boys volleyball teams but both programs - Newington and Southington - are among the best in the state year-in and year-out. This season should be no different. Both schools are coming off yet another strong season in which they competed with the top teams in their respective classes. Newington went 17-8, claiming the Class M State championship for fourth time in the last six years in dramatic fashion. Southington, on the other hand, finished its season 17-2. The Blue Knights reached the Class L quarterfinals, but fell short in three sets to East Hartford. Even more exciting is the fact that Newington and Southington play each other twice a season. Last year, the Indians fell both times to the Blue Knights, which should help both teams in their respective state tournaments. But while both are expected to once again compete at a high level, each team will have to replace some key players. There will still plenty of talent, having been established programs, but will be something to watch as the season goes on. Outlook: The Newington boys volleyball team is coming off of an excellent 2017 season and will now look to maintain its position among the top-level volleyball programs in the state. There will however be a little bit of a shakeup. The Indians are now in the newly re-configured, CCC West with Conard, Hall, Farmington, Simsbury, Maloney and rival Southington, which should make for a tough regular season, but beneficial come postseason time. The Indians are returner two starters, junior outside hitter and 2017 All-CCC selection Leonel Caceres and senior setter Evan Metzger. Head coach Curt Burns is wondering if his team can get back to the Class M state final again to compete for back-to-back Class M titles and fifth in last seven years. He also hoping the incoming athletes entering the boys volleyball program will they develop quick enough to contribute at the varsity level. The newcomers include sophomore basketball player Mason Romano, who’s height will be his advantage as he stands 6-foot-4, with a middle touch of 11-feet-5 and a 40-inch vertical jump. Joining Romano will be three-sport athlete and outside hitter Keenan Esau. Outlook: Southington is coming off an incredible 2017 season in which it lost just two games. The Blue Knights went on to earn the fifth seed in the Class L state tournament before falling to CCC foe East Hartford in the quarterfinals 3-0. And while there is plenty of optimism for the season, there are also some question marks as well. Southington graduated a handful of seniors from last year's team, which also means there will be some new faces in different roles. The good news is the players that are returning got some valuable playing time a year ago, which should help with the transition. Overall, there will be eight seniors leading this year’s team and expectations for the group are to have another solid season. Posted in New Britain Herald, Newington, Southington on Wednesday, 28 March 2018 21:00. Updated: Wednesday, 28 March 2018 21:03.